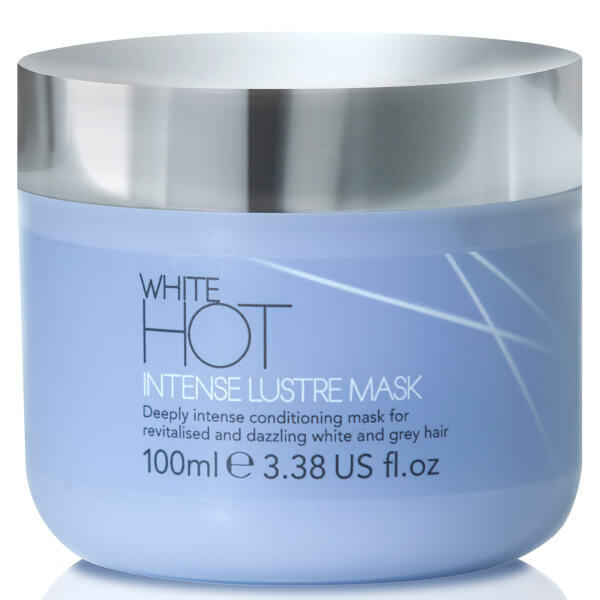 Revitalise white and grey hair with the White Hot Intense Lustre Mask; a deeply nourishing treatment that works to condition, hydrate and restore luminosity. Fortified with Keravis™, the weekly hair mask repairs, strengthens and protects, whilst optical brighteners minimise unwanted yellow tones to leave locks healthy and glossy after every use. Expect touchably soft, smooth tresses with dazzling shine. Smooth onto damp hair and leave for 3 minutes. Rinse. Aqua (Water), Cetearyl Alcohol, Dimethiconol, Behentrimonium Chloride, Quaternium-91, Cetyl Alcohol, Cetrimonium Chloride, Cetrimonium Methosulfate, Parfum (Fragrance), Phenoxyethanol, Hydroxypropyl Guar Hydroxypropyltrimonium Chloride, Isopropyl Alcohol, Dodecylbenzenesulphonic Acid, Citric Acid, Disodium EDTA, Disodium Distyrylbiphenyl Disulfonate, Hydrolyzed Vegetable Protein PG-Propyl Silanetriol, Alpha-Isomethylionone, Hydrolysed Lupine Seed Extract, Benzyl Alcohol, Sodium Benzoate, Limonene, Citronellol, Glucanolactone, Potassium Sorbate, Magnesium Nitrate, Methylchloroisothiazolinone, Magnesium Chloride, Methylisothiazolinone, CI 60730.